In association with Erstwilder, Mumpty is running a feature entitled The Pinup Platoon during the month of March. The Pinup Platoon features interviews with all ten Miss Pinup NZ 2015 finalists, together with some other exciting content on the off-days. 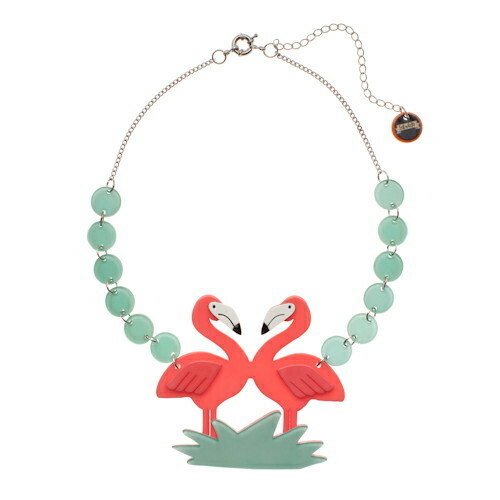 AND … we have a fabulous competition where you can win one of two highly-sought-after and now sold out, Erstwilder Flamboyant Flamingo Fair necklaces – to find out all about it, see the details at the end of this interview with the fabulous Miss Rouge. A: Well most people do know that I am candy-obsessed, but I’m not sure they know I’m also so “flip-my-lid” over the delicious taste of an ice cold Coca-cola! 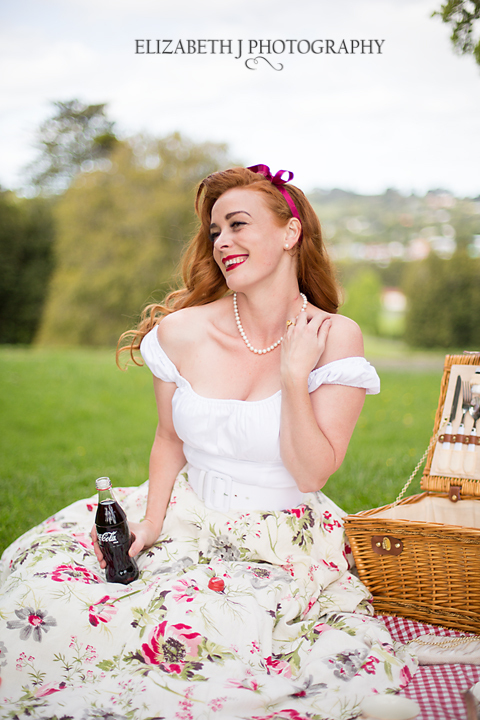 There is nothing like a picnic in the summer and an ice cold Coca-cola in my hand! I love it so much that when I’m travelling the world I always get a photo of me with a Coca-cola in each country! A: Well, I am the lucky owner of a dress that was formerly Micheline Pitt’s but it is also vintage! I dream of the glamorous evening and events it went to. Isn’t that the fun of a vintage dress? The mystery behind it, who wore you? Where did you go? You really can let your imagination run wild! I’m sure besides Micheline, someone else very glamorous wore my dress! A: Well darling I’d love to share it all with you because I’m so excited! But oh, I do love a surprise don’t you? I can say that I think the lovely items I have chosen are a real reflection of me and my personality. I have a rule about what I wear and it’s that I have to LOVE it and I can honestly say everything I will be wearing I looooooooveeee ! A: This is kind of a funny one, also not really vintage! But nevertheless, you don’t choose what music moves you! I feel like this song empowers me at moments when I need a little pick-me-up or motivation to do something I want to but am terrified to do … it is: “It’s My Life” by Bon Jovi. A: Well golly Mumpty – all of these ideas sound great! Oh dear – you are giving me ideas! I think besides a few tears, a kiss for my dapper Gent, and of course hugging all of the lovely ladies, it’s hard to say. I’m a gal of mystery and I love that I don’t know! So I guess I’m looking forward to the mystery of it all! A: Well now, I think most pinups would say their lipstick and well, I’m inclined to agree whole-heartedly with them! There is nothing like that perfect shade of lipstick that just somehow makes you feel complete. I’m going to add to that, a vintage compact, because a gal needs a mirror to apply that lippy and I don’t go anywhere without mine! A: Well now this is easy! 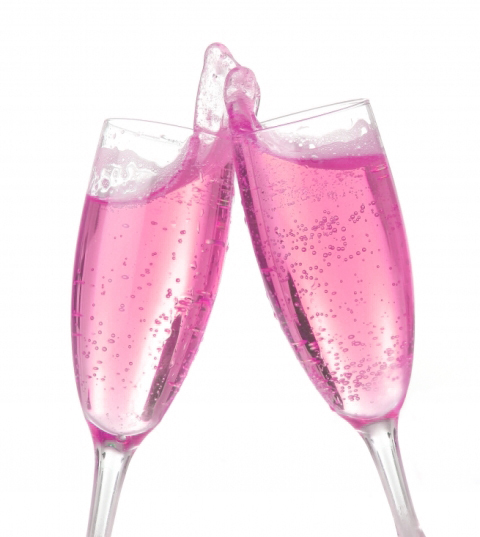 A chance to meet other like-minded people and to make friends! It feels like our scene here is growing quickly and there are always new and exciting people to meet and go on adventures with! 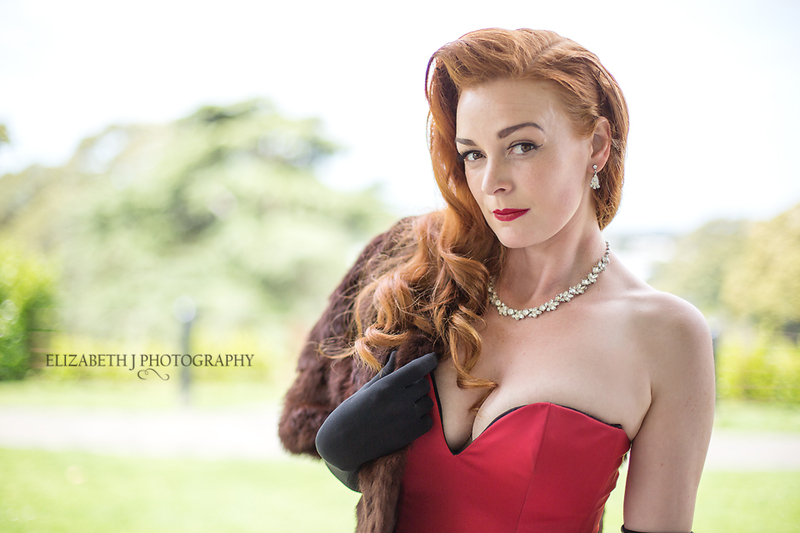 Thank you so much Miss Rouge – it’s been fantastic chatting with you – best of luck with your aspirations for Miss Pinup NZ 2015. Don’t forget – if you want to vote for Miss Rouge for Miss Publicity, you can do so by clicking here. Posted on March 25, 2015 September 30, 2018 by MumptyStylePosted in Burlesque/Pinup, Mumpty Q&ATagged Elizabeth J Photography, Erstwilder competition, Erstwilder Flamboyant Flamingo Fair necklace, Miss Pinup NZ 2015, Miss Rouge, Miss Victory Violet, The Pinup Platoon, Very Vintage Day Out 2015.